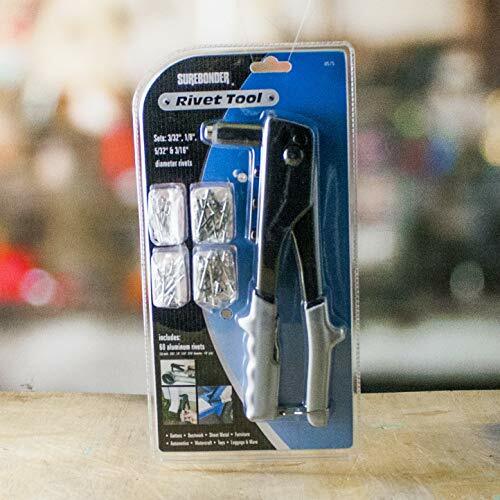 An basic rivet tool designed to set common diameter rivets. This light duty tool is great for homeowners as it's easy to use and will handle most jobs around the house or garage. Slim nose design to fit into tight places. Heavy duty construction. Includes a variety of 60 aluminum rivets. Sets 3/32-Inch, 1/8-Inch, 5/32-Inch and 3/16-Inch diameter rivets.